Thunderstorm and fireworks seasons are upon us and if you’re anything like me, you’re a dog owner who’s seeking relief for your dog’s thunderstorm and fireworks panic attacks. A number of months ago I was mentally exhausted, depressed, frustrated and my piggy bank was empty from my then nearly three year search for something that would help Nissa cope with storms and fireworks. All I had to show for my efforts was a cabinet stuffed full of assorted calming aids that although I found were highly recommended by many, unfortunately didn’t work on our little girl. This was followed by a “screw-it” phase. I gave up looking and trying. I just couldn’t do it anymore. About that time we had a reprieve from the thunderstorms we’d been experiencing and went through a dry spell. Inevitably the next thunderstorm hit and watching Nissa panic again was more than I could handle and so the search began all over again. At this point, I’m pretty much convinced that I probably will never truly stop trying to find a solution. Tonight while I was writing my newest article venting about the upcoming 4th of July fireworks season: Damn You and Your Fireworks! I was reminded that I had wanted to share something with others who have dogs who suffer from thunderstorm-phobia or fireworks panic attacks. Why Not Just Sedate Her? 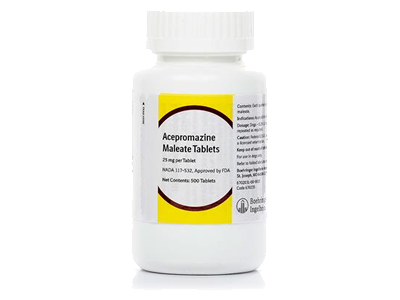 Note: Chlorpromazine (Thorazine ®) is almost identical to Acepromazine and just as potent. Research has shown these drugs functions primarily as chemical restraints without affecting the animal’s emotional behavior. While under the effect of Ace, the animal still has a very strong fear, anxiety, avoidance or arousal response, but it does not physically display these reactions and is less able to react. The dog or cat appears calm and relaxed but mentally is lucid and still having an intense emotional reaction to its surroundings. Ace is a dissociative agent and prevents the patient from understanding his environment in a logical manner. So, the actual fear level of the animal is increased. Compounding the situation, the animal is being restrained and it makes a negative association with the entire experience. According to veterinary behaviorist Dr. Vint Virga, DVM, ACVB, this is one of the reasons, why clinics are seeing so many animals, who have been previously given Ace, continuing to be fearful during veterinary exams. It becomes a never-ending cycle of chemical restraint and continued fear for the patient. There are also some breeds of dogs that should never be given Ace — on eHow.com, I found this in their article called Acepromazine Side Effects in Dogs: Acepromazine should not be administered to Boxers or other brachycephalic dogs (flat-faced, short-nosed dogs) because it may potentially cause serious arrhythmias and possibly severe hypotension (low blood pressure), with risks of collapse, respiratory arrest and a slow heart rate. Giant dog breeds and Greyhounds my be sensitive to acepromazine as well, while Terriers may require higher doses. Armed with the information in these articles and my additional research, giving my dog Aceproazine for her thunderstorm and fireworks panic attacks is just not going to happen. Reading this is heart breaking! I think I caused my little Rascal to die! He would bite you when getting his nails clipped! My vet gave me ace one hour before getting them cut! He was11 yrs old, my baby. My husband had just passed away, Rascal was my best friend! I’m so sorry I didn’t reserch this med, but I trusted my Vet! I gave him the meds, got his nails cut, he had been coughing was the reason for the visit! After finding him out of it 4 hrs latter, I rushed him to the ER VET, they were going to do test near $600.00 I didn”t have it!They said a reg vet would be cheaper, test were to be done next morning, he became worse rushed back to ER VET they keep him, calling 4 hrs latter he was gone. Now I will have to live with this! I killed my dog! Please folks check your animals meds just like yours. First I’d like to say that we’re so sorry for your loss, it broke my heart to read your story. Please understand that most people trust their vets so please don’t blame yourself for trusting. The larger part of the dog family population doesn’t research medications their vets prescribe because they trust their vets. You’ve learned a very painful lesson as did I and thousands upon thousands of other people. Your dog was 11 years old, there may be something else that took his life and the ACE was just a coincidence or maybe just a contributing factor. Unless you’d had a necropsy done you would not know this and from what you’ve said it’s a logical conclusion that I’d likely come to myself that the ACE killed your baby. About the only thoughts I can give you that may help you with dogs you have in the future are to get pet insurance for your dog or utilize one of the other methods I’ve described in the article. This way if an emergency comes up you won’t have to make heartbreaking decisions about their life. You can get good care for your babies knowing you have insurance to cover the bulk of the costs and let me tell you from my heart there is no way I would have a dog without having good pet insurance anymore. Our most recent example is our Gracie had to have a lump removed from her back leg this week. The surgery bill was $2,300.00 but we will get approximately $1,840.00 of that total back. The insurance doesn’t cover the vet consults/office visit and that’s close to $100 of the total bill which is normal for any pet insurance company. When the check comes I will put it right back on the Care Credit card we use for the vet bills. Because of the amount, we have two years to pay it interest free, so I also feel having the Care Credit card is absolutely one of the best things we’ve done as well not only for our dogs but our finances. there is always pro and cons to every medication. that’s why acepromazine is a controlled substance. there are dogs, who are able to have a certain dose of the medication and a variety of dogs, who cannot due to their healthy history. some dogs are hypersensitive there will always be side effect to every medication in this world. I agree there are pros and cons to every medication but for me ACE is one that I will never use for my furkids. I don’t know if Ace is a controlled substance but I’m guessing you are correct that it’s not and but it’s a prescription drug. You may not sound mean nor mean to sound mean but you come across as being very very arrogant and condescending. I don’t see Sasha rambling, her post is quite short, only a sentence or two. Everyone has varying levels of education and different beliefs. Whether Sasha is right or wrong about what kind of medication this is isn’t the point of this article. It’s what Ace DOES to dogs. I really don’t think it’s up to you or anyone else to accuse her of not being educated, of rambling or of having no real intelligent advice. If you feel she’s embarrassed herself that’s your own opinion, I on the other hand do not feel the same way. Sharing information and opinions is a great thing, we all can learn from it. Our blog is not a place for people to criticize one another, nor is it something that needs someone other than myself to monitor the contents which includes you. I’m sorry but I don’t find any useful information in your post. When you have something to share that’s of value and not just an arrogant-know-it-all opinion we’d love to have you come back and share it! Hi. Just wanted to suggest trying R&R Essence from Azmira.com. It is a flower essence and the only thing I’ve found that consistently works for my GSD during thunderstorms, gunfire, etc… Good Luck! Great Site! Sounds like something I might like to try. Unfortunately, their website is all messed up and when I do finally get to a page for the product there’s no price and no way to order. Would you please share what you noticed as far as a difference in your dog when using this product? I’m afraid that’s something you’d have to ask your vet about or had a necropsy performed on the dog after it passed which by the way I’m soooo sorry about. A couple of possibilities of what are probably many come to mind. 1) Your dog suffered a fatal reaction to one or more of the meds (or combination of) that he was given. 2) There was something else going on that went undetected before he passed away which would have killed him anyway. The fact that your Hex went to Rainbow Bridge so soon after being administered medications would definitely set me into research mode because his death may or may not be coincidental. Under these circumstances had this been one of our dogs, we’d have had a necropsy performed. It would just drive me insane not knowing why my dog died. 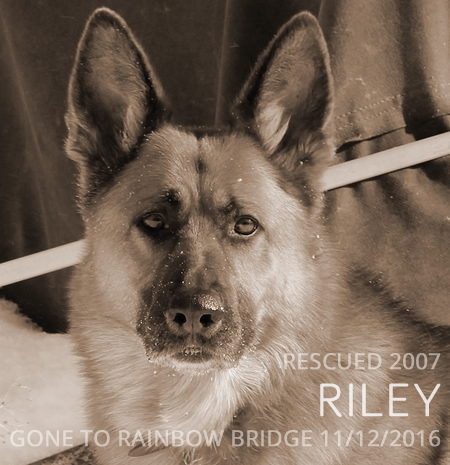 I’d like to think your vet only prescribed meds that are known to play well together but speaking from a near crippling potentially deadly experience with Riley is that just because meds are generally well tolerated by dogs doesn’t mean your dog is one of them. 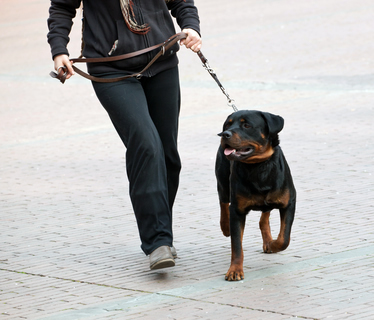 No matter who the person or the dog and/or what the medication is, there are always risks. I always Google for the best price but most of our dog’s supplements come from places like Amazon, Vita-Cost and Puritan’s Pride. These places all seem to have the lowest prices whenever I check. Do not “Ace”: Ace, or Acepromazine, is a dissociative anesthetic-a drug that scrambles the dog’s perception of an experience. You can imagine how disorienting and unsettling this could be for your dog during an already fearful experience! Here are two great articles on “Ace-ing”: Don’t ‘Ace’ the Fear: Why acepromazine may make your dog’s fireworks fear worse and 4th of July Doggie Do’s and Don’t’s. Thanks for dropping by with your right-on tips for helping dogs get through the 4th festivities! Thank u so much for your advice. Makes perfect sense. I will try the pet naturals and let her go to the closet by herself. I have an old comforter in there and she likes to hide in there. The radio on helps too. She quit eating my bed pillows when I started leaving it on when we r gone lol. I think I can finally buy new ones. Would love to hear how the Pet Naturals work for your dog after you’ve had a chance to put them to the test. Letting her have her safe place/closet is a good idea so I would let that area be accessible to her at all times if possible. You could turn on the radio *and* tv for her, these help drown out the thunder noises especially if you’re able to set the volume a bit on the loud side. Of course being that dog’s ears are sensitive you don’t want to make them too loud either. We turn the air conditioner on for Nissa, too. I personally would not recommend anything at all without checking with your vet. Hopefully, she’s on some kind of anti-seizure meds and whatever you were to give her without your vet’s OK might be harmful. Most of the ones I’ve used and administer today (which are natural and/or homeopathic in origin) would *probably* be ok with prescription anti-seizure meds but I would not give to my dogs without my vet’s OK. I just picked up Ace today for the 4th I am so glad I researched it before giving it to my loveable Chiweenie. After reading about it, I just don’t understand how a vet could give it to u with a good conscience and not even discuss it with u . I almost cried thinking about how I would think she was fine and not scared anymore but yet she was still terrified and maybe even worse. That would be a selfish thing to do. I will stick to sitting in the closet with her and hugs . The pills will be going back to the vet. Thanks for stopping by our blog and telling us about your darling Chiweenie. I’m glad we were able to help. Your vet may not take the pills back. Our pharmacist told us that people prescriptions are not returnable, you may find this is true for pet drugs as well. You may also find your vet is not receptive to your findings and try to poo-poo your concerns. If this happened to me, I’d tell him “Thank you.” and then I’d be finding a new vet, but that’s me. If I might make a suggestion? Stop hiding in the closet with and hugging your dog through these stressful times. You’re only enforcing “This is what we do when fireworks happen.” Your dog may be partly acting scared because this is what she thinks she’s supposed to do now. I tried probably 12-15 different non-prescription calming type remedies. Some were no help, some were a little help but the Pet Naturals Calming for Dogs have been the biggest relief for our Nissa. They don’t take away all her stress, but we see a significant improvement. Her shaking stopped and we can tell she’s not nearly as stressed. I never expect to find anything that will cure her, but at least with this both human and dog are more relaxed and I don’t worry about her quite so much. We let her go to her corner or wherever she wants and let her wait out fireworks or thunderstorms. She comes for comfort occasionally but otherwise, she works her way through it. I try to not reinforce her fear of these things by telling her it’s ok. She only hears “it’s ok to act like this” she doesn’t realize I’m telling her that the thunderstorm or fireworks are not going to hurt her. See what I mean about not reinforcing your baby’s behavior? It’s not easy to be strong and let her be, but it’s actually better for her. Again, thanks for sharing with us and we wish you both the best! Let us know how it goes, ok? I wish I had stumbled upon this or done research on this drug before my German Shepherd suddenly passed away overnight last week. She was a very healthy almost 8 year old spayed long coated German Shepherd who was recently getting hot spots. The vet equipped us with a spray that cleared them up, and prescribed this drug to keep her from wanting to lick the spots. They both did the trick and when she had a new hot spot we started the same treatment with success. A few days after her last dose, she woke us up in the middle of the night drooling and almost unconscious struggling to breathe. It only lasted minutes before she passed and there was nothing we could do. We will never know if this may have been a freak accident such as a blood clot, but I now will doubt this drug and won’t use it with another dog again. Anyone considering using this drug should think twice about it and find out if their dog is at risk of the deadly side effects. We’re soooo sorry for the loss of your beautiful girl, how devastating this must be. Of course, without a necropsy you will never know for sure what actually caused her death but I would feel the same way in that the ACE drug may have been what caused it or perhaps was just a contributing/underlying factor in her passing. There are other ways to keep dogs from licking than prescribing drugs, which to me was total overkill. I’ve never heard of prescribing a drug to stop a dog from licking but I’m not in the veterinary field so can only say that doesn’t mean it isn’t done. Our vets have always given us a cone for the dog to wear when they’re concerned about licking an injury, surgical area or whatever. Not the most comfortable device for them to wear and looks funny on the dog, but to me is the safest solution, at least it’s drug free. Having learned that our vets simply can’t possibly know it all and with all that I’ve learned over the years, I now research any and every drug my vet wants to put my dogs on and I hope to help others to learn to practice this as well. There are always going to be side-effects to any drug, no getting away from that and of course even researching cannot prepare us for a freak-something happening. Nothing is 100% fool proof, all we can do is try to protect them the best we can. Please accept our sincere condolences and know that our thoughts are with you. My vet gave us ace for our 17 yr old cocker. Within minutes, she had a seizure and 4 days later another one. She’s never had them before! I feel terrible as we gave it to her for anxiety & dementia. I didn’t realize it makes them feel more anxiety but are unable to show it. Ugh! Wow! A 17 year old dog! That’s amazing! I’m so sorry she’s had these horrible issues after dispensing ACE. I know very much how badly you feel, I’ve had the same kind of thing happen to me. I try to be a really good dog Mom but there are so many things that can go wrong, it’s humanly impossible to know about everything. What gets me is that vets *should* know better yet they keep prescribing this crap! You might want to investigate homeopathic remedies for her anxiety and dementia. I would think you might find some help with her dementia through acupuncture but I am not sure. I’m not familiar with any homeopathic remedy for dementia so I can’t recommend any but for Nissa’s thunderstorm and fireworks anxieties we now use Pet Naturals Calming. Out of all the products we’ve tried (and trust me there have been many!) this helps her the most. I hope your girl will be ok, give her a hug from us, ok?